In this article we consider two countries in Central America attracting growing numbers of investors and tourists to their shores: Nicaragua and Belize. For each country we highlight the key purchasing destinations. Nicaragua is a beautiful country in the heart of Central America enjoying year-round sunshine, outstanding sea-beaches, massive fresh-water lakes and towering volcanoes. It has a lower per capita income compared with its neighbors – Costa Rica, Panama or Belize, as well as lower cost real estate for sale. The country is successfully attracting foreigners looking to invest in property and start a life abroad where the cost of living is far cheaper than back home. The latter are attracted by a benefit laden residency retirement program that offers a wide range of tax incentives. Most property in Nicaragua is available as fee simple title, insurable by major US title insurance companies including First American and Stewart. As Nicaragua has a relatively under developed mortgage market, most real estate transactions are conducted as cash purchases, although seller financing is on the rise. The prime areas of interest for real estate investors looking to get into the market for Nicaragua real estate are along the south west coastline between Costa Rica and El Transito and around the town of San Juan del Sur. Here the geography is very similar to that found in Costa Rica’s Guanacaste province, now home to world class real estate communities and hospitality brands. Away from the Pacific, another upcoming area for those interested in historic property and Spanish colonial architecture is the charming town of Granada. Belize real estate is another enticing option in Central America for real estate investors and tourists alike. It is the only English speaking country in Central America and the smallest in the region, with a size similar to the state of Massachusetts State in the US. Called “Mother Natures Best Kept Secret” in travel circles, Belize is a paradise for nature lovers who travel to the country to enjoy huge rain forests, rivers, caves. Those looking for a touch of history find it in its ancient Mayan pyramids and ruins. 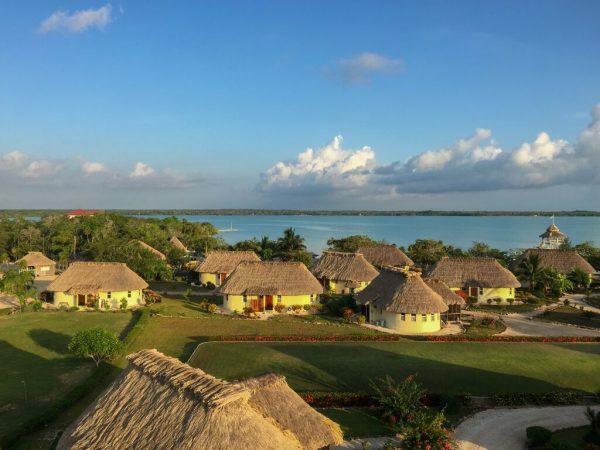 Belize is also known for being a tax friendly country with a rapidly growing infrastructure for owning a vacation or retirement home. Key purchasing destinations for real estate include Placencia peninsula on the mainland and Ambergris Caye, a beautiful island a few minutes flight from Belize City. While Ambergris Caye still attracts most interest, Placenica is catching up fast – especially with the main road that winds its way along the peninsula now being fully paved and a new international airport under construction.